We offer teaching seminars on topics ranging from Old Testament to New Testament, and from Biblical Archaeology to Christian Education. Our seminars are designed for popular audiences, and can be customized to meet your needs, whether it is for a weekend retreat, a Saturday workshop, or a multiple weeknight series. Each of our seminar speakers serves on the IBEX board, and each is immanently qualified to speak on his or her topic. Below, you will find descriptions of the teaching seminars that we currently have available, along with a pdf that you can download and/or print out. Let us know how we can put together a program that would enrich your congregation! 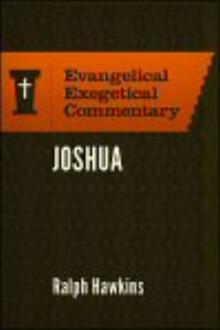 Explorations in Joshua takes those who attend on a journey through one of the most exciting periods of early Israelite history, the entrance into Canaan under Joshua. Sessions include the exploration of the archaeology of the major cities of the conquest, examination of the violence in Joshua, study of the stories of Rahab and Achan, and consideration of the meaning of the book of Joshua for today. In this seminar, Dr. Hawkins takes the unique approach of identifying ten areas in which a famous biblical leader – King Saul – failed, deconstructs the events, and then looks at how we can use his experiences as springboards for our own positive achievement. Those who attend How the Mighty Are Fallen will be both challenged and empowered to rise above the level of mediocre leaders. In this seminar, Dr. Hawkins takes the unique approach of combining the study of the Old and New Testaments with that of literature from the intertestamental period, as well as that of the Dead Sea Scrolls, in order to present a comprehensive view of how 1st Jewish Christians understood the suffering and death of Jesus the Messiah. This seminar works well as a Lenten program, and is sure to enrich attendees’ appreciation of the suffering of Christ and prepare for Holy Week.. The Bible & the Spade takes participants on a guided tour through some of the most exciting discoveries of biblical archaeology. Amazing discoveries have been made in every period of biblical history, and sessions can be designed to give a survey or to focus on specific periods or themes.